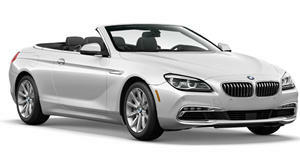 Dragging chrome into the 21st century, SR Auto has injected a new lease of life into the 6-Series Convertible. In tarting up an old BMW 6-Series convertible aftermarket specialist SR Auto Group has used an inordinate amount of chrome for surprisingly effective results. The project they have oddly dubbed the Teflon Don is made up of a string of chrome accents, including the radiator grille, headlights and bumper. If the chrome doesn&apos;t ring your bell then the set of 22-inch Vellano VSD alloys that contrast beautifully with the black body should at least pique your interest.